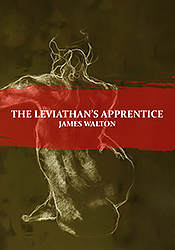 Walton is a masterful artisan with language in poems that at the same time completely steer clear of artifice. Careering explorations carry a great sense of unruffled stillness – this book is a well travelled hardwood chest filled with glittering curios, feathers, loss and tranquillity. The future of this art form lies in experiential reading of fully fleshed works like these. – Les Wicks. Eureka Street, The Wonder book of Poetry, Australian Poetry Collaboration, The Age and The Sydney Morning Herald, Great Ocean Quarterly, Australian Poetry, Hubgarden Poetry, Australian Love Poems 1st & 2nd Editions, Poetry d’Amour Anthology 2014, Silver Birch Press – Bukowski On Wry, Australian Poetry Journal, A Sudden Presence – Anthology of Short Listed Poems, Australian Catholic University National Literature Prize 2013 and the Welsh Poetry Competition 2014.